It’s all kicking off at Mobile World Congress in Barcelona today, with Samsung going on an announcement spree. 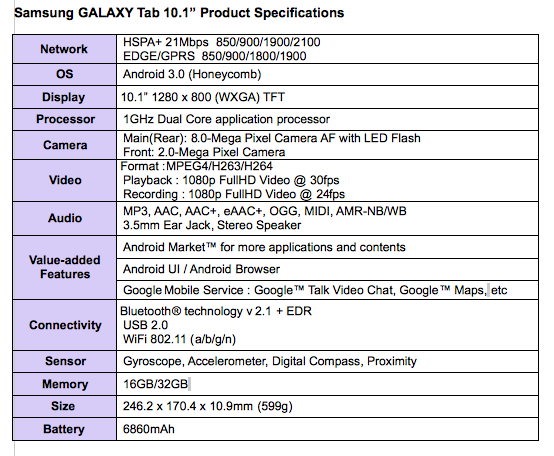 First the Galaxy S ll, and now we have the 2nd generation Galaxy Tab. Called the Galaxy Tab 10.1 there are no prizes for guessing how big the new tablet is, with the screen playing host to 1280×800 itsy-bitsy pixels. Sat behind that nice large screen you’ll find a 1GHz Dual-Core Tegra 2 CPU alongside your choice of either 16 or 32GB of storage. 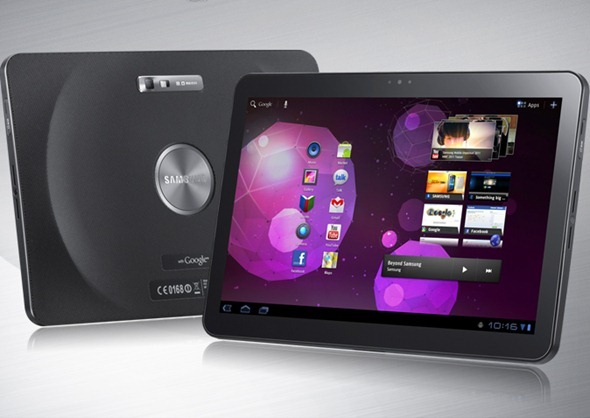 As has been expected for some time now, the Galaxy Tab 10.1 will be powered by Google’s new Honeycomb version of Android which is the first version of the popular operating system to be specifically designed with tablets in mind. Samsung’s original Tab used version 2.2, FroYo. Engadget’s Joanna Stern has been spending some quality time with the Galaxy Tab 10.1 and one of the things she mentions is the tablet’s weight, or lack of it. One of the negatives thrown at Apple’s iPad is the sheer weight of 10 inches of glass and metal, but it appears Samsung’s device doesn’t suffer from the same issue, presumably due to the lighter properties of the plastics used as opposed to the iPad’s metal. Is this worthy of taking Apple’s crown as the king of all things tablet? Time will tell, and with iPad 2 on the horizon things are sure hotting up in the tablet space. Expect more information on pricing and release dates soon. Patrick Chomet, Vodafone’s Group Director of Terminals, said: "Vodafone customers in over 20 markets around the world will be the first to get the GALAXY Tab 10.1 when it goes on sale this spring. Samsung have produced a stylish, market-leading implementation of the new Android 3.0 platform which will be the first Honeycomb device to arrive in many of those markets. Vodafone’s competitive data tariffs and reliable, high-speed networks make using the GALAXY Tab 10.1 a great experience."